Again, let me remind all to focus on the assessment hike issue! Surveying is done by JPPH? i.e. Jabatan Penilaian Dan Perkhidmatan Harta? Or DBKL own survey department? If by DBKL own survey department, how do we validate versus official JPPH survey or any other certified property valuation company? Also, would DBKL advise on the actual valued value of one's said property? Why such question is because your laid down the formula to be: Annual Value or Nilai Tahunan X Assessment Rate Percentage. So without knowing the "Annual Value" how does us general consumer know whether the it is a fair value?! It was also reported by my mun that same row of house in kepong. some have lower value and some have higher. It was also speculate the chinese areas value are put higher compare none chinese areas. The department also consulted the Ministry of Finance's own JABATAN PENILAIAN DAN PERKHIDMATAN HARTA to get values of certain properties. On Nov 18 2013, owners would have received a notice alerting them of the proposed new annual value of their property. The owners then have the chance to challenge or object to the new proposed value according to the revision. A total 153,000 objection letters were ultimately received by DBKL and these 153,000 objections are now undergoing a public hearing process with DBKL. No, it is not true. There is no race discrimination when DBKL was conducting the Annual Value Revision. Should you believe any form of unfair discrimination has been committed, please report to DBKL using the information we have provided above. Wat bout my own use factory vs my next door factory for rental??? One for my biz one for tenant use. But both oso same same naik 246% on valuation. So own use can ask for reduction. Rental 1 depend on how much yield? How to calculate the valuation vs rental return??? "A group of valuation officers from DBKL’s Property Management and Valuation Department have come up with a new Annual Value for each property"
i.e. these are local council's valuation department. Unless you are telling me they report back to JPPH for total country aggregation? Can you pls confirm again? btw, my property is in Selangor hence not affected. So am just throwing out possible queries which may be useful to all. I believe the special incentive is for residential properties. Factories are not residential units. The Annual Value rental formula is simple. Annual Value = Monthly Rental Value X 12. If the rent is RM1,000 per month, the annual value is RM12,000. If the rent is RM1 million per month, the annual value is RM12 million. How u back that it is not true? the valuation is done by your officer. for the sake of transparency can you post DBKL's P&L here to justify the hike? Don't think they have access. They are just a social media agency or probably consultancy company engaged by DBKL to do an online campaign to address and inform on how Assessment Fee works. So you are asking for the moon nor did you read my earlier post. The DBKL has its own Jabatan Penilaian dan Pengurusan Harta (JPPH) and the MoF has its own Jabatan Penilaian dan Perkhidmatan Harta (also JPPH). The valuation was conducted by officers from DBKL's JPPH for the majority of the properties using the methods outlined in the previous post. They also consulted the MoF's JPPH on the values of some properties. No worries if your property is in Selangor. We appreciate these questions so we can clear any confusion. Boss u hav not answered le. I accepted ur explanation on rental part. Wat bout own use w/o rental??? How to justified??? % on biz revenue or on biz gross profit or on biz nett profit??? Or just pandai pandai throw guli pluck numbers??? Just curious and guess u r the rite man to provide the answer. So now, the issued would be again back to my initial question. How do we ascertained DBKL's valuation matches MOF's valuation? So based on the Annual Valuation notice given by DBKL, should one go and purchase Annual Property Market Report from MOF's JPPH (which contains detailed scheme valuation report) to assess whether the value are comparable?! My personal belief is not enough transparency because how many guys out there know of such reports or have access to such information to dispute what might or might not be questionable?! That is why everyone is irked when the mayor says out of xxxx populations, only yyyy objected. Because the other zzzz might not understand all this thing. Even more so for those without access to the internet. My personal opinion is City Hall should be transparent enough to quote sources in their notices so everyone is well informed. 1. Land with buildings on it - Annual Value is an estimate of the gross yearly annual rental rate from the buildings. 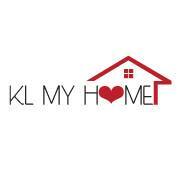 For example, if a property is estimated to have a monthly rental rate of RM1,000 a month, the Annual Value is RM12,000. 2. Vacant land - The Annual Value is 10% of the Market Value of the land. For example, if the market value of your vacant lot is RM500,000, its Annual Value is RM50,000. For properties that have buildings on it but is not rented, the Annual Value is calculated from similar properties in the area. For example, if a condominium has four blocks and three are fully rented out and one has zero tenants. Units in that block will have an annual value similar to other units in the same area. Location is a prime factor in indicating value, so references are made to surrounding properties. If any owner believes that their annual value is incorrect, they could have submitted an objection to DBKL upon receiving the notice. A total 153,000 have done so and are now undergoing the process of public hearing. I believe us with the likes of Sikit2JadiBukit is not interested in "general" numbers. Eg. Operating expenses as stated, what does it includes? Development Expenditure - what does it includes? See.. for Other income sources*, they did put down details albeit vague: "Other income sources include selling DBKL’s own assets, collecting development fees from development projects within KL, tapping into DBKL’s own cash reserves as well as Government grants.". But again, I doubted you would have the liberty of disclosing the nitty gritty to us, the general public. Dear all, pls be reminded to be "civil". Hopefully we get more insights into this matter. Any reference from the MoF's JPPH can be used as a basis for objection to DBKL during the public hearing which is conducted starting today (Monday). Any third party evaluation (other than Government agencies) can also be used, but it is also up to the process and the hearing committee to accept or reject such valuations. The projection is based on previous years' income and expenditure for DBKL, extrapolating each factor and plotting its trajectory as a whole. This format is a challenge to the professionalism of the way bank's valuation method. It's contradicting. Anw tq for ur unconvincing method. If you do believe that some injustice has been done in terms of race discrimination, please inform DBKL or us using the information provided earlier.